A perfect trip is a kind of art. We have been fine-tuning this art for twenty-five years! More than one hundred tourist destinations, five thousand partner travel agencies, about three million satisfied clients, one hundred thirty employees in four offices in Moscow and Dubai. ART-TOUR is one of the recognized leaders in Luxury travel industry in Russia. ART-TOUR is a member of the Russian Travel Union, having all financial guarantees to operate in the travel industry. 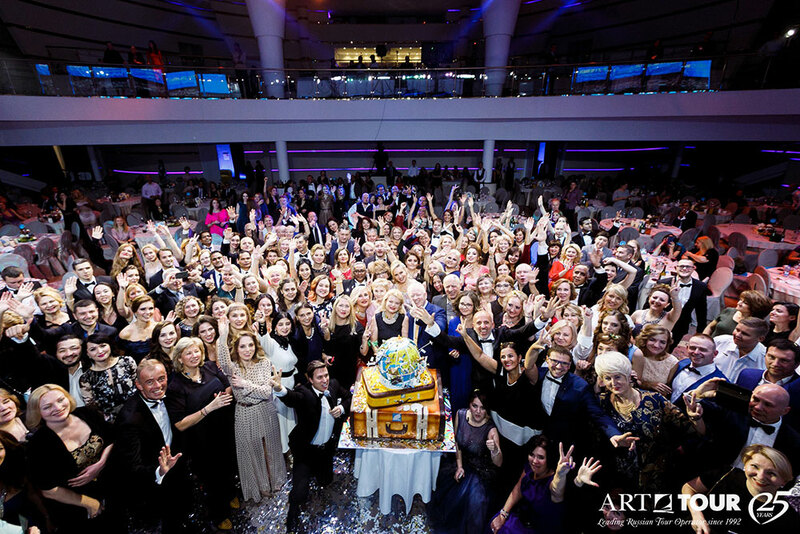 ART-TOUR has been awarded diplomas of the State Duma of Russia, the Government of Moscow, Dubai Department of Tourism, the Ministry of Tourism of Mauritius, rewards of leading airlines and world’s hotel chains. ART-TOUR is proud of its awards “Travel Brand of the Year”, “Travel Operator of the Year” and many others. Since 2010 ART-TOUR is selling Formula 1 tickets and packages for all Grand Prix and since 2012 we the official partner of Singapore GP in Russia. ART-TOUR is the official representative in Russia of Le Boat, the largest European river boat leasing company. Direct contracts with suppliers allow us to offer competitive prices. Favorable terms of cooperation attract our partners. Our prices are a result of large sales volumes and close interaction with our partners. Our Qualified managers can help eventhe most experienced agents and clients to make the right decisions. Familiarization trips and information support give the opportunity to get a better insight into the offers of travel operators and properly represent them in the market. In two thousand eleven ART-TOUR opened its own Destination Management Company in Dubai, where the representative office of the Eurasian Tourism Organization in the United Arab Emirates is based. We love what we are doing. We are trusted. We are keeping up with the fast pace in our development and are guided by high quality of services and individualized approach to the client. Trust us with arranging any trip and we will prove you that ART-TOUR is the art of tourism in practice!